Visitors to Marloth Park love taking a walk or drive to the Crocodile River to watch some of the country’s beautiful and exciting species congregate there. These species include four of the Big Five (lion, leopard, rhinoceros and buffalo), as well as hundreds of birds and other animals. Sipping on a hot coffee or a cool cocktail and drinking in these magnificent scenes is a once-in-a-lifetime experience. Marloth Park covers some 3 000 hectares of pristine veld, with no fences within its borders. This allows the animals to roam freely and the vegetation to abound unhindered; creating a very pretty spot in which to savour the loveliness of Mpumalanga. Bird watchers love visiting this part of the world for the chance to see the fish eagle, martial eagle, African paradise flycatcher, hamerkop, African goshawk, a number of kingfisher species, and an array of owls. About 350 bird species have been recorded in this area alone. There are a number of trails through Marloth Park, which can be explored on foot or from the saddle of a bicycle. With mild winters and hot summers, this area is fantastic all year around. However, visitors must be careful to avoid dehydration and sunburn, even on overcast days. Although Marloth Park feels like it is a world of its own, completely separated from everything outside, it is actually within close proximity to convenient facilities. There are shops, petrol stations, a laundry and a bakery, amongst others. Within the park is a number of restaurants. The Crocodile Bridge Gate of the Kruger National Park is only 14 kilometres from Marloth and is the gateway for unforgettable safaris and game drives that are nothing short of spectacular. The Malelane Gate is 35 kilometres away. In addition to the majestic Big Five (including the elephant); visitors to Kruger can expect to see hippopotamus, giraffe, nyala, oryx, kudu, blue wildebeest, zebra, warthog, civet, large-spotted genet, and a selection of primates. 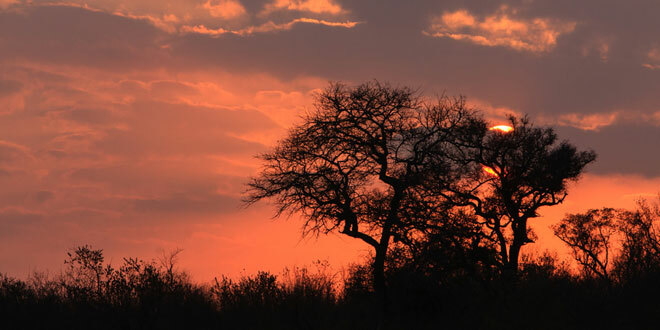 Thanks to its close proximity to this national park, Marloth Park continues to be a popular base and a stop-over for local and international tourists that want to experience the vast beauty and abundance of Kruger. Marloth’s own game reserve, called Lionspruit, is a fabulous place to see the buffalo, rhinoceros and lion on game drives during the day or the evening.